Nowadays, ICT has been broadly applied to all trades and professions, because of instant end-to-end connectivity and at-hand convenience. For sake of better enhancing disaster resilience, scientists, engineers and practitioners are make the most use of information and communication technology to all phases of disaster risk management- reduction, preparedness, response and recovery. Especially at the IOT age, the powerful tools provide both macro- and micro- viewpoints in both physical and social vulnerabilities that could help to make decisions on disaster risk reduction or emergency response. How to massage all informative and multiple inputs to meet demands of different users that requires several elements to succeed: (1) To identify fields to apply ICT for; (2) To design information intelligence for action; (3) To disseminate information through various channels; (4) To build up public-private partnership in information sharing; (5) To carefully utilize social media. During last decade, though team work between emergency responders and scientists, Taiwan has developed a systematic approach to integrate scientific outputs with emergency operation amid times of typhoons. 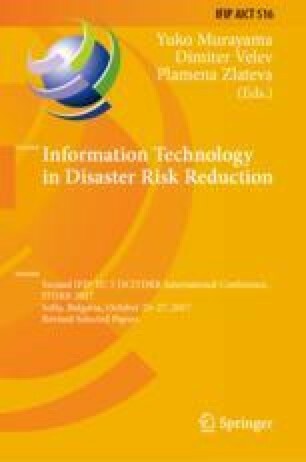 The results do prove well-organized information shared by ICT both increase efficacy of emergency operation and public awareness.